Pop superstars Steps, DJ Pete Tong with the Heritage Orchestra conducted by Jules Buckley, award-winning musician George Ezra and singer-songwriter Emeli Sandé, legendary musician Nile Rodgers and his band Chic and the world’s most successful classical crossover group Il Divo will headline five nights of live music at Lytham Festival 2018. Festival organisers have today completed the full list of headliners for the Main Proms Arena on Lytham Green from Wednesday 18 to Sunday 22 July. Lytham Festival’s opener on Wednesday July 18 will be a pop-fuelled party night when chart-toppers Steps take to the stage. They will be joined by special guests Whigfield, Vengaboys and DJ Pat Sharp. Thursday July 19 sees Leafy Lytham Green transformed into a clubber’s dream as Pete Tong, along with the Heritage Orchestra conducted by Jules Buckley, presents the critically acclaimed audio and visual spectacle Ibiza Classics. The iconic night will be supported with a set from electronic dance duo Basement Jaxx. Award-winning musician and singer-songwriter George Ezra will be joined by the stunning voice of Emeli Sandé on Friday July 20. They will be supported by singer-songwriter Rae Morris. Saturday night sees legendary musician Nile Rodgers and his band Chic headline an uber cool night of disco, hip hop and rock. They will be supported by special guests 80s pop chart-toppers Bananarama and Grammy Award winners Soul II Soul. And to close the five-night event on Sunday July 22, international quartet Il Divo will headline. They will be joined on stage with special guest Olivier Award-winning West End star, singer and actress Martine McCutcheon and the Heart of England Orchestra. 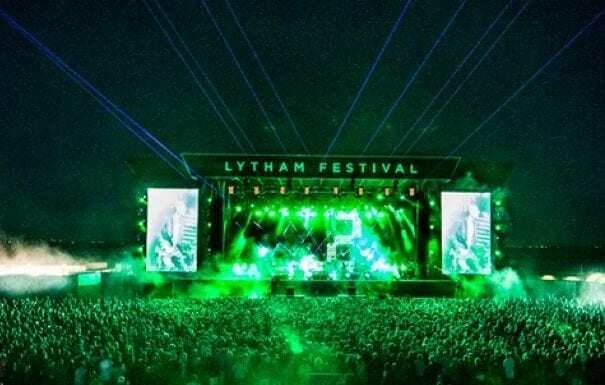 Lytham Festival director Peter Taylor said: “The line-up for Lytham Festival 2018 presents an incredible array of artists who will entertain many thousands of people. “Once again we have programmed a festival which will appeal to a wide range of people. Lytham is not about catering to just one type of music taste. Our aim is always to make our festival attractive to as many people as possible – whatever their music taste.